Their sacrifice can live on if we fight for the reforms sparked by their deaths. The names of the of the victims of the Triangle fire mean more to me than most Americans. Having lived most of my life in Italian and Jewish neighborhoods in and around New York City, I feel as though I know these people. Their faces were faces I grew up with. Their names — Caputo, Colletti, Levine, Kaplan, Maltese, Schneider and Uzzo — are names I’ve known all my life; names that echo with the same Southeastern European cadences and rhythm as mine. What do we owe the victims of the Triangle Shirtwaist Factory fire? It is something I’ve thought long and hard about, especially on the one-hundredth anniversary of this great tragedy. I remember once traveling by train through Southern Italy at night. I gazed out of the compartment window seeing mountain villages in the dark distance. Even then in the late twentieth century they appeared so isolated from the modern world. As I stared I thought about those who almost a century earlier had the courage and audacity to leave this then-still medieval world behind and risk the future in what was a totally alien culture of the industrial United States. I equally wondered in amazement at those who left behind their shtetls in Poland and Russia. They also took the same incredible gamble. My great-grandmother, who came from Italy in the late nineteenth century, was a garment worker during the same period of the Triangle fire. My grandmother, Josephine, and her sisters Mary, Tessie and Rosie were also garment workers. And my mother-in-law, who came here from Italy in 1970, was also a garment worker. Like those who came before her, she spoke no English when she arrived. Yet just three days after coming to America she courageously got on a subway train, road from Brooklyn to Manhattan, and began work at a sewing machine. As a boy, I vividly remember going to visit my grandmother in her work places, and in later years I remember going with my wife to pick her mother up at the end of her workday. All these shops were very much the same. Even with union representation they were dimly lit and cramped. Foremen still pressed for greater productivity. In the winter they would be chilly and in the summer, stifling hot. And yet they worked with the understanding that honest labor is a form of high honor. Sign up to have the Daily Digest, a witty take on the morning’s most important headlines, delivered straight to your inbox. Part of that “beacon of hope” was the ability to earn their way into a better life. In exchange for giving their honest effort every work day, all they wanted was a fair wage and a safe place to toil. Those essential attributes of liberty were denied to the victims of the fire. And because they were so denied, they became reluctant martyrs for reform. Unwittingly, their burning bodies, tumbling through space, energized a movement that would lead to the creation of the modern American middle class. Their death and suffering earned a better life for you and me. And yet question still remains: What do we owe the 146 who perished that early spring day one century ago? Grover Norquist echoes the sentiments of many movement conservatives by saying that he wants to take the country back to the time before the Progressive Era, which began with the Triangle fire. At the very least, we owe the Triangle victims the task of reminding everyone what that world looks like. 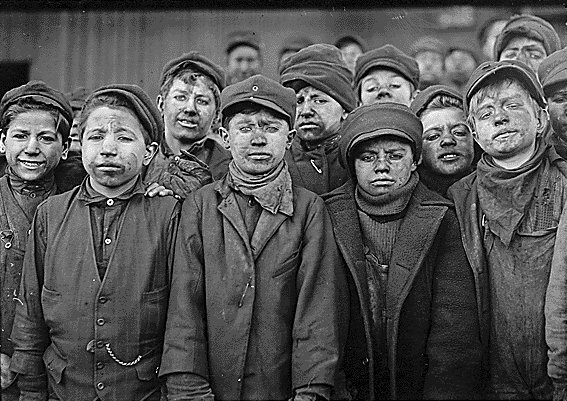 It bares the face of child labor and unsafe working conditions. And sadly we need not look to the past to be reminded; it now exists in third-world countries where far too many of our clothes are being made. Beyond that, as advocates of FDR’s legacy we owe the victims a promise that we will fight to keep the Democratic party from slipping back to its pre-fire days, when they catered to wealthy factions, by supporting those who still carry the mantle of reform. We owe them that much. To fail to do so would dishonor their terrible sacrifice. Frank L. Cocozzelli writes a weekly column on Roman Catholic neoconservatism at Talk2Action.org and is contributor to Dispatches from the Religious Left: The Future of Faith and Politics in America. A director of the Institute for Progressive Christianity, he is working on a book on American liberalism.